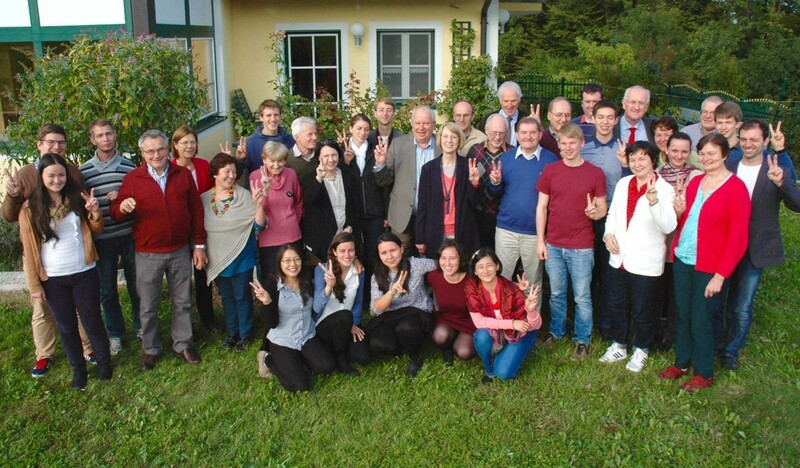 By FFWPU Austria, Elisabeth Cook: The Leaders of the Austrian Unification Movement gathered for a 2-day meeting in a picturesque village close to the city of Salzburg on September 26-27, 2015.. The program for the first day was a workshop on “New Heavenly Tribal Messiahs“. The first presentation was given by Peter Zöhrer, president of FFWPU Austria: A summary of the events around the 3rd Seonghwa Ceremony of True Father in Korea. We learned that the main topics were “Tribal messiahsip“ and ‘Future Leaders“. The second lecture was given by Elisabeth Cook on the topic “Proposal for tribal messiah re-vitalization“ based on the lectures of Dr. Dong mo Shin, Continental Director of South America and “ A Brief Study on Global Standards for the Completion of the New Tribal Messiah Mission” by Dr. Do Young Yoon. After the lectures there was time to reflect on the contents in small discussion groups. In the afternoon National Leader Peter Zöhrer gave a presentation based on the lecture of Dr. Paul Carlson: “Tribal Messiahs: A Western Perspective“, which was followed by discussion groups again. The topics in the groups were how to improve the existing Tribal Messiahs activities and how to implement new ideas. Also, experiences and testimonies were shared. In the second part of the afternoon we heard a report by Johannes Stampf who participated in a Blessed Family Department Seminar in Korea about married life and how to improve it. Everybody followed his report with great interest. Mrs. Gaby Zöhrer, Austrian Blessed Family Department representative, reported about the European Blessed family department meeting in Camberg. Her report was completed by Kurt Sattlbergers report. He also attended the meeting in Camberg. The topic of the second day, Sunday, was “Raising Young Leaders for the future“: 17 young people, most of them blessed couples, but some single 2nd gens as well, participated. Peter & Gaby Zöhrer had met most of them before and prepared them for the meeting. The goal was to create a transition committee in order to prepare 2nd gen members to lead the nation. In the first session Yoshiko Pammer and Oswin Wolf who had participated in the Top Gun Workshop in Korea gave an impressive report about the workshop, which moved everybody deeply. At the end they mentioned that they would like to create such a workshop in Europe as well. After this report Mr. Peter Zöhrer explained, that the decision to establish a national leadership transition committee was made by him already in May during True Mothers visit to Vienna on the occasion of the 50. Anniversary celebrations of the European / Austrian Unification movement. Furthermore he explained the purpose of the meeting, namely that the young people should take more and more responsibility and they should be included in all important decision making processes of the nation. Also, they should meet regularly. 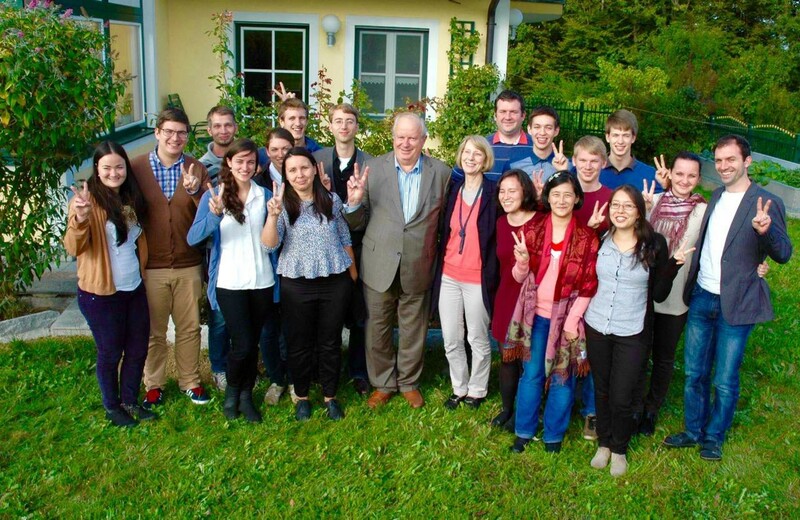 A session with the young people discussing among themselves followed, as well as a meeting with them and president of FFWPU Austria. The main theme of these discussion was “Vision 2020 and beyond – how young Unificationists want to create the Unification Movement and save the nation“. In the meantime the 1st gen leaders discussed the International conferences which WFWP and UPF-Austria is organizing and which will take place in Vienna on October 10-11 and 29-30, 2015. The last session was a report by the young people about their meeting. They decided that their name will be “Austrian Transition Committee“ (ATC) and that they need more time to organize themselves properly. They asked the leaders to describe their responsibilities so that they know more clearly what the situation is and what kind of support the leaders would need. We all agreed to do this within 3 weeks. The atmosphere was open, positive and hopeful, that’s why we are looking forward to the next meeting at the end of November.